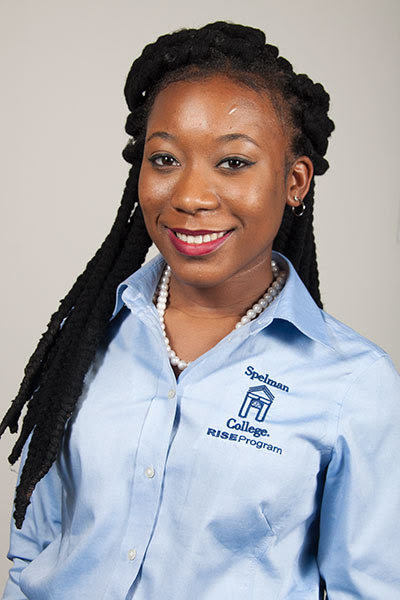 Parris Washington is a junior at Spelman College from Washington, DC. She is pursuing both a Bachelors of Science in Biology and a Masters of Science in Neuroscience through Morehouse School of Medicine’s dual degree program. Parris’ interest in research was first sparked by her love of science. As a member of the Research Initiative for Scientific Enhancement (RISE) program, her eyes were opened to the interdisciplinary nature of research. Her research began as an interest in Cellular and Molecular Biology. Working under the mentorship of Dr. Yonas Tekle, she has spent more than a year investigating the reproductive and developmental behaviors of Amoebae in the Biology Department at Spelman College. Her research focused on observing and analyzing fusion between related species of Amoebae. She has presented her research at the Emerging National Researchers Conference in February 2015. She has also presented at Spelman College’s Annual Research Day in 2015 and Minority Access Conference 2015 in Baltimore, Maryland, where she was a first place and third place winner in the Cellular and Molecular Biology categories, respectively. Parris currently conducts research under the mentorship of Dr. Tiffany Oliver. Aside from conducting research, Parris is a member of the Beta Beta Beta Biological Honor Society and the National Society of Collegiate Scholars. Upon graduation, Parris hopes to pursue an MD/PhD in Neuroscience.